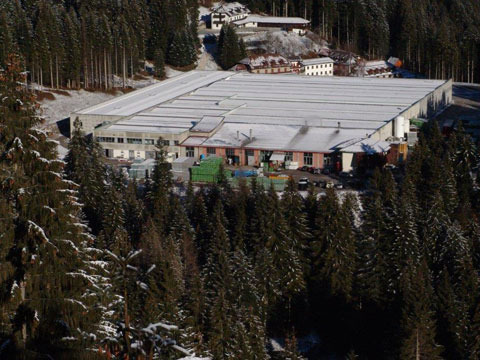 The factory in the woods. 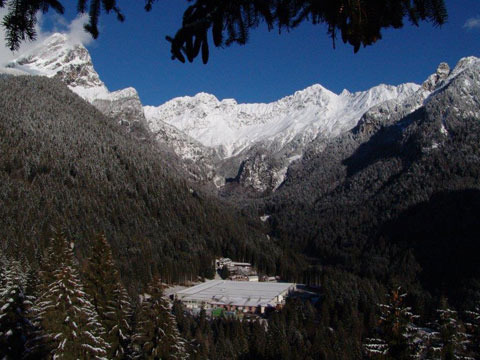 Goccia di Carnia flows at 1370 metres above sea level: through a funnel system, it performs a jump of 300 meters difference in level to go to the plant where it is bottled pure and untouched it is at the spring. 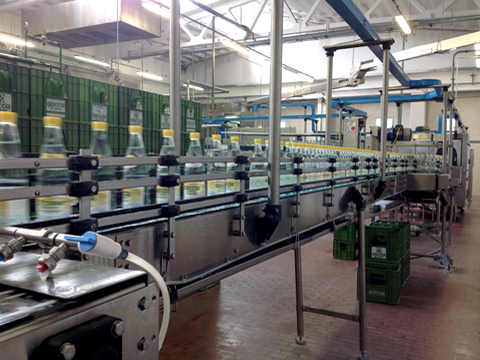 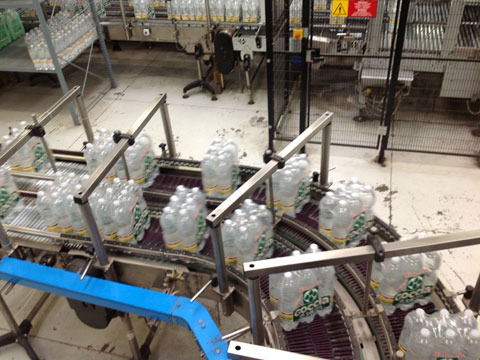 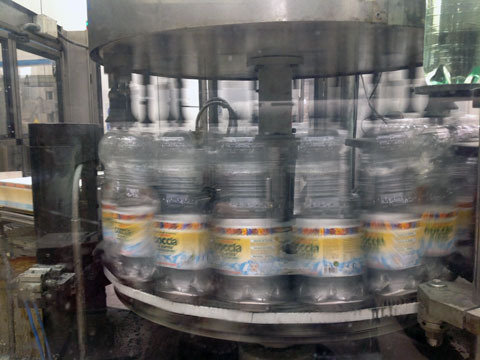 The facility is divided into three production lines, two for plastic bottles (PET), and one for glass: Goccia di Carnia produces more than 140 million pieces per year with a maximum capacity of 1 million bottles per day when the bottling lines are working at full capacity. 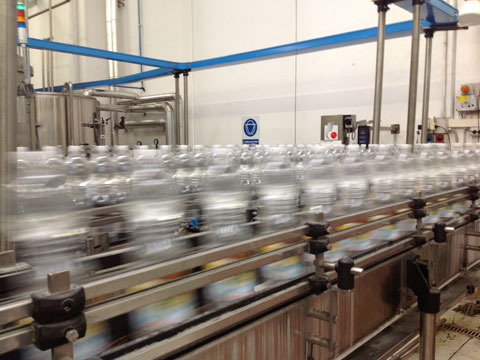 A very short time passes from the moment the water reaches the plant until the bottle is closed, sealed and labelled: every step of the process is automated and monitored so that the water maintains its own low mineral content characteristics.